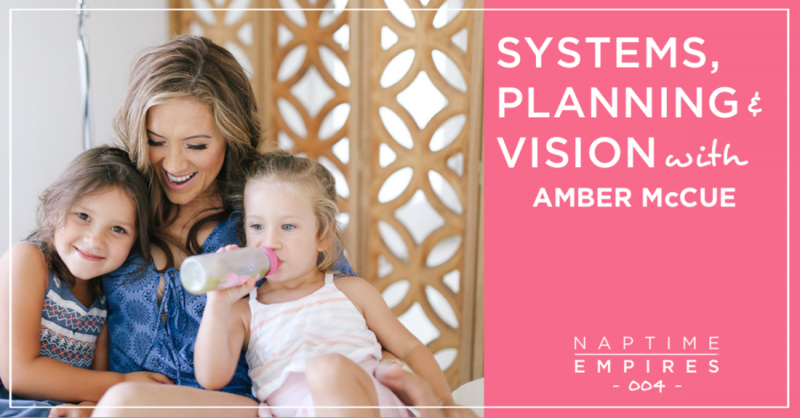 Amber McCue is the founder of NiceOps, a modern business management and operations consultancy based out of Annapolis, Maryland. She’s the creator of several noteworthy programs & courses for busy and first-time business owners, including her signature How to Clone Yourself, the long-term hands-on program Freshly Implemented, where she acts as an outsourced COO for struggling small business owners, and CEO School, a brand new way for smart business owners to stop letting their business run the show, and start running the show for themselves instead. I met Amber YEARS ago when I was prepping for the first launch of A Course About Copy® . Fell in love with her during her Planathon, worked with her for a half day strategy sesh, and mapped out a 90 day plan (that I ended up squishing into liiiiike 45). She played a huge part in helping me SEE my whole six-figures-in-year-one goal as a tangible possibility. You’re in for a treat, buddy. There’s always more to talk about after the show (seriously – every time I stop recording I think oh WAIT! I could’ve shared this too!). Make sure you join The Naptime Empires Playground on Facebook to add your voice to the conversation.